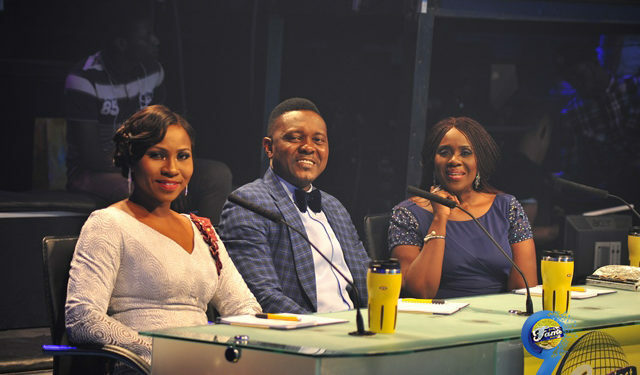 This week on MTN Project Fame West Africa, below were the highlights. Harrysong, Geoffrey and Monica Ogah performed ‘Reggae Blues’ at the end of the show. Dapo, Eli, and Yusuph stole the show with their performances. Judges put all the contestants on probation. This week, the contestants performed songs by African artistes like Simi, Wizkid, Tekno, Sarkodie and others. The first contestant to open the show was Elizabeth and she performed ‘Love Don’t Care’ by Simi. The judges commented that she did well by taking the song like it was hers. She owned the song and she used the stage well, starting the show on a good note. The next contestant who performed was Eric and he did a song by Dr Sid, ‘Surulere’. The judges commented that he was finding himself in the beginning and then he picked up later. Mirabel performed ‘Go On’ by Niyola. The judges commented that she needs to work on the lower register because she sounded low while performing the song. Oluchi performed ‘Right Now’ by Seyi Shay. The judges commented that she limits herself and holds back. She needs to push her boundaries. Eli performed ‘Fall in Love’ by D’banj. The judges commented that he smashed his performance. His vocals and performance worked together. Blessing performed ‘Ife Wa Gbona’ by Tiwa Savage. The judges observed that she sounded flat and dry. She didn’t deliver vocally. Yusuph performed ‘Shakiti Bobo’ by Olamide. Harrysong commented that he stayed on the beat and timing. He performed with his own swag. Winner performed ‘Ferrari’ by Yemi Alade. The judges said that she had a good timing but she didn’t do well with connecting with people. Kite performed ‘Mama’ by Kiss Daniel and the judges agreed he gave a good performance and interpreted the song well. His versatility goes a long way. Benjamin performed ‘Duo’ by Tekno. The judges commented that his performance was merely okay. Gabriel performed ‘Down on Me’ by Sarkodie. The judges commented that he held his notes so beautifully. Dapo performed ‘Final’ by Wizkid. The judges commented that he looked like a star boy and he performed like a star boy. He owned his performance and he killed it. Steve performed ‘Eleko’ by Mayorkun. He did well, and the judges commented on his steady energy. Okiemute performed ‘Osinachi’ by Humble Smith. The judges commented that she delivered the song well. This week, everyone is on probation so you have the chance to vote for your favourite contestant and keep them in the house. Tell us who your favourite contestant is and which performance you loved this week. This time, you have the power to keep your favourite contestant in the house so keep the votes rolling.